There have always been comparisons between Red5 and Wowza with people and firms always seeking advice on which one to use. Although both of them are video streaming engines who are very much capable of broadcasting previously recorded video as well as live streaming. However, Wowza is comparatively more expensive which costs about approx. $55 a month for making it run on a server. But to note is the fact that wowza might be a little expensive but is also more stable. Further, while studying the difference between Red5 and Wowza, in a study it was found that on running both Wowza and Red5 on their servers, Red5 has to restarted once or twice a month while wowza never needed a restart because it never got stuck. Apparently, red5 vs wowza performance comparison should be taken into consideration because of it being an important factor to be thought about before taking a business decision. 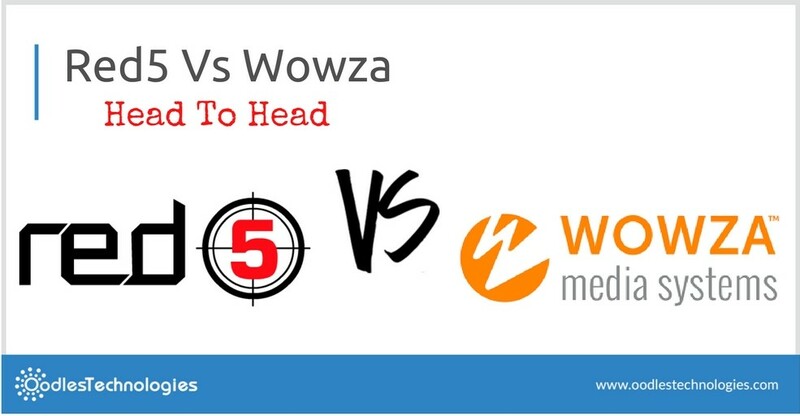 The other Red5 and Wowza differences tells about the other important perspectives that need to be taken into consideration in order to compare these two popular video streaming devices. While Red5 is capable of working on a virtual server with 4 giga of RAM and managing broadcasts to 100 viewers or hosting a video chat site, wowza demands for a dedicated server and some serious RAM to perform the same task. In that way, we could say that Wowza is more resource hungry as compared to Red5. Notably, red5 hosting is the cheaper alternative but it has its own pros and cons to be carefully taken into consideration before opting for it. I am talking about the costs involved in the process as wowza pricing can cause a big worry to many. Besides, Red5 is badly framed and documented. You ought to have a sound understanding of Java and networking to make use of it. The reason might be that Red5 is developed by group of volunteers supporting each other via a mailing list as there had been no considerable contribution from the experts. You have to have a requisite patience and the skills to help fix the problems on your own. I hope it will help you decide which streaming engine to adopt for your business after carefully comparing all these above given comparison criterias. You can also give it a thought about the wowza alternative open source media servers available over the web if you are low on your budget. Adobe Media Server, Nimble Streamer and nginx are some of the wowza open source alternatives among many.